We are sorry to hear that your Math lessons are after the competition time. Hopefully, you will have a chance to participate in some way or, at least, next year again! We wanted to limit the free use only to school time and the time is the same in all countries where the competition takes place (7AM - 2PM). 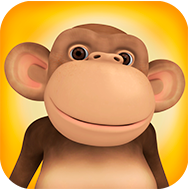 We are sorry to hear that your possibilities to participate are limited because of this, but we hope that you can acknowledge that we have already made a very large investment when we give 10Monkeys Math for free to all schools, all over the country.